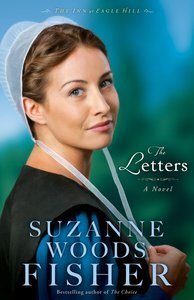 About "The Letters (Unabridged, 8 CDS) (#01 in The Inn At Eagle Hill Series Audiobook)"
Customer Reviews For "The Letters (Unabridged, 8 CDS) (#01 in The Inn At Eagle Hill Series Audiobook)"
I really enjoyed the complex character development and the realness of the storyline. Also enjoyed revisiting some familiar characters from other stories I've read. Great job, Suzanne! I really enjoy amish stories, but they can all merge after a while and become the same. However 'Letters' while having the same foundation of being an amish story, took it further and created a heartfelt story line, one for which you don't guess the ending and you are brought along with the characters as you get caught up with their lives and truly want something good to come their way. Order now to secure your copy when our stock arrives. Other edition is available. 9780800729066 0 Available. Expected to ship in 5 to 6 weeks from Australia.